3 (Three), who is usually associated with launching cheaper phones from its pet manufacturer INQ has announced it’ll be launching a ZTE based Android phone on pre-pay for £99.99 which breaks the sub £100 point (just). INQ are traditionally used by 3 as both are owned by parent Hutchison-Whampoa the Hong Kong conglomerate. INQ phones are based on Qualcomm’s BREW platform and have a multitude of social media clients built-in. The ZTE ‘Racer’ has a 2.8” QVGA touchscreen, 3.2 megapixel camera, 256 MB of internal memory, Bluetooth and 7.2Mbps HSDPA and used Android Eclair (version 2.1) which gives access to thousands of applications from the Android Marketplace. 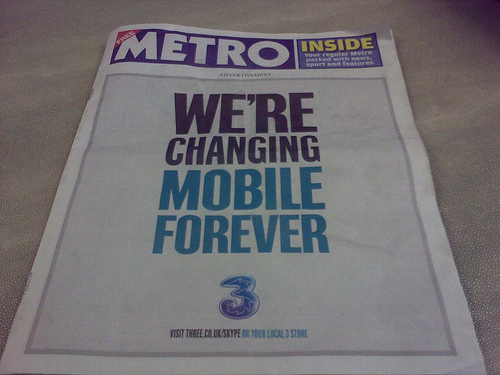 3 is trying to position itself as mobile internet friendly and has been pushing services such as Skype for sometime (when other operators shunned mobile VoIP), this new cost-effective handset is another move to show their willingness to embrace this market and moving from INQ to a Chinese vendor is a bold move for them. Both ZTE and Huawei are going to be forces to reckon with as they have huge facilities in China and can attack pretty much all sides of the telco and mobile markets, from handsets through to the infrastructure – building mobile networks. Now it’s making inroads into the mobile handset markets, time will tell how far the progress into other markets. The full press release is on the ZTE site.